Our home is the most important place in the world; it’s where we come back after a hard day’s work and relax alongside our family, loved ones, and of course, our furry friends! However, no matter how safe we may think it is, this can often be really far from the truth when we start going deep and comprehensive once we start inspecting things. One of the most annoying to deal with is when you start noticing your dog has got some swelling. What a disaster! This is none other than the work of gnats; these flies that resemble mosquitoes plague many of our homes, and we often don’t even notice! And since keeping your pet safe is of utmost priority, we have prepared this guide just for you. Today we will find out how to keep gnats off dogs, the secret to keeping your pet safe from these nasty insects that infest your home! 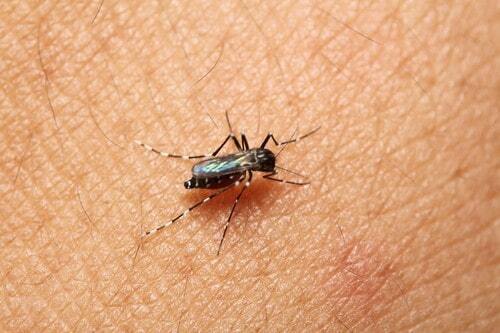 Gnats are very much like mosquitoes; these are winged insects that are small and very long-legged. However, the gnat is a much weaker flier. Gnats are attracted to any moisture and organic material, and will not think twice of settling in when they know that a part of your home can easily be invaded and made living space for their families to grow. All it takes is one place to be oozing with moisture or anything unsanitary left unkempt for way too long, and gnats will surely come knocking on your door to move in. Not only will you want to know how to keep gnats off dogs, but you will also need to find a way to keep them out of your house forever. Although small, these guys can pack quite the punch under the right conditions. They may pose to be quite the threat not only to your dog’s health but yours as well. Due to their behavior of moving from one unsanitary location to the next, they are able to carry nasty diseases and dangerous pathogens wherever they may decide to set up shop. From potentially infecting your food, plants, and furniture with ill-ridden diseases, they can also go as far as biting you and feeding off of your blood as other gnats do. 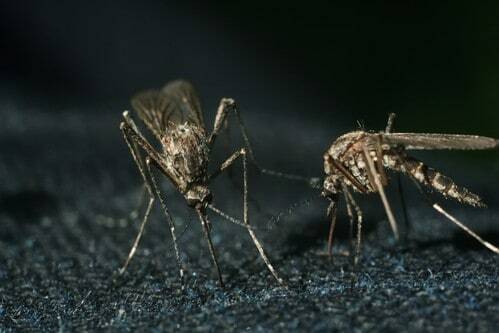 These types of gnats that bite are known to carry parasites and spread diseases which pose a threat to anyone who is exposed to an environment that is housing these dangerous insects. 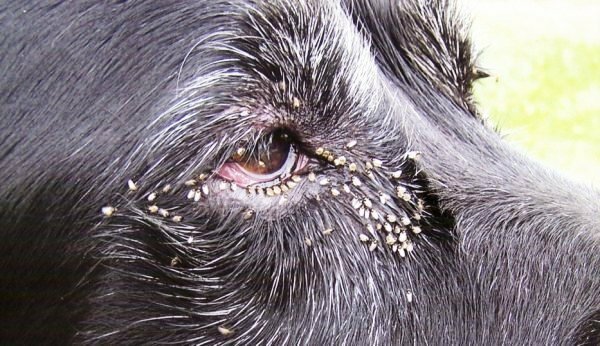 What Are the Effects of Gnats on Your Dog? Dogs are quite the adventurers and will practically go through all the hard work of getting to see every nook and cranny they can find inside your household. We can’t blame them, though; that’s just who they are. This is what makes the task of learning how to keep gnats off dogs more important because their adventurous side often leads them to very dangerous places as well. When they start sniffing around in places they shouldn’t really be in, it calls the attention of many small insects disturbed by the furry creatures a million times bigger than them! Swelling – Some bites often lead to swelling, more commonly found in the face area. You may find swelling on the eyelids, lips, earflaps, and more of your sad dog. This causes them extreme discomfort, and if left untreated, it may lead to even more dangerous problems. Weakness – Some dogs have a hard time dealing with the idea that they got bit, and it affects their system, effectively weakening them, and making them feel down. Allergic Reactions – Bites may also trigger an allergic reaction and cause even more problems which will require a hasty visit to the veterinarian in order to ensure that your dog’s health is completely safe. How Can You Deal with These Gnats? Despite how dangerous they are, there actually exist many known methods that you can use or even buy to expose these gnats to things they hate and effectively kick them out of your home to make it safe once more. Keep The Fruit – One of the main food sources of gnats are fruits so if you really want to learn how to keep gnats off dogs, then you are going to need to keep that fruit inside the fridge. Leaving it on the kitchen table or exposed to air lets gnats detect and find a sustainable food source, effectively giving them the idea that your home is an ideal spot for the next infestation. Be vigilant and keep your fruit fresh and free of any incoming uprising of a nasty gnat invasion. Clean Stagnant Water – Open water sources that are left unkempt become the breeding grounds of many insects, especially gnats in this case. It is in your best interest to make sure your home is free of any of these in order to stop their crazy population from growing and overrunning your entire household. Keep Soil Dry – Wet soil is another place for gnats to plat their eggs and start a crazy infestation when you least expect it. In fact, compared to stagnant water, this is the most common and hard to deal with. To avoid this, you will want to avoid overwatering your plants and only water them when necessary. 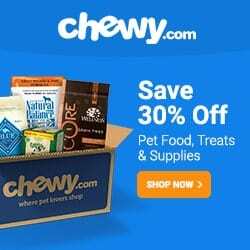 This is to avoid the development of their larva and keep the gnats far from hurting your pooch and family. Insecticide/Traps – You can also make use of products made specifically to deal with these gnats. While they may come at a price, the benefits will surely outweigh the costs if you use it effectively. 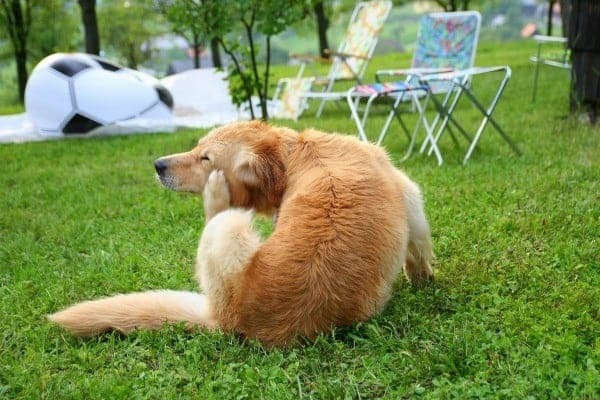 Prevention is a million times better than cure, so if you want to avoid your dog from ever having to deal with gnats and the possible effects of bites, make sure that you keep your house clean and follow this guide laid out to you today. When you make sure to follow the information given, you will never have to worry about how to keep gnats off dogs ever again!